THURSDAY, Sept. 14, 2017 (HealthDay News) -- When Zika infections strike in the womb, babies' eyes likely suffer, researchers say. Two studies of Brazilian infants with confirmed and suspected Zika virus infection in the womb found that all of them had vision problems. These problems included scarring, misalignment of the eyes, repetitive movement of the eye, and low vision. Of the 102 infants studied, about 40 percent had eye abnormalities and all had visual impairments, the study authors said. The findings were published online in the Journal of the American Association for Pediatric Ophthalmology and Strabismus. Because all infants had with visual impairment, these findings suggest "that the visual impairment is most likely related to the extensive damage to the central nervous system," said Dr. Liana Ventura, of HOPE Eye Hospital in Recife, Brazil. She was the lead investigator of one of the studies. "These findings reinforce our supposition that brain damage is the main etiology for visual impairment" in infants with Zika infection, Ventura said in a journal news release. 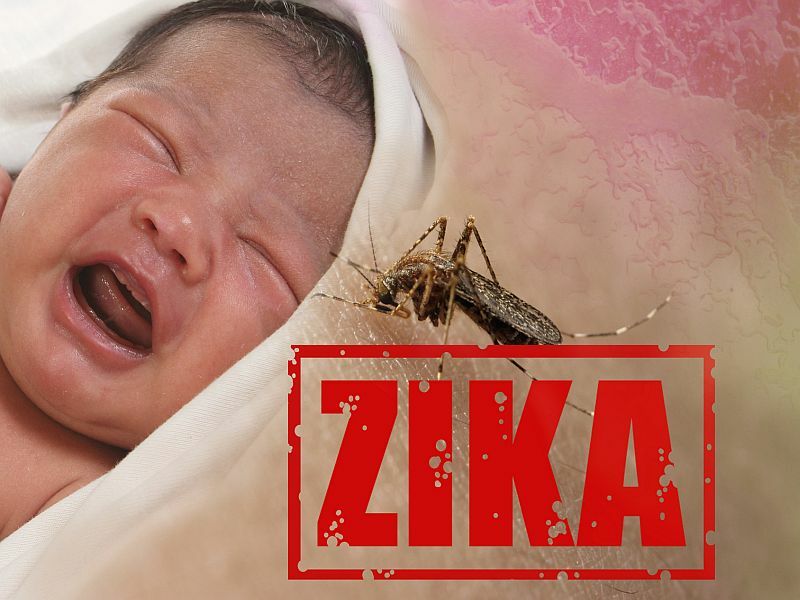 Zika, a mosquito-borne infection, can cause severe brain and nervous system birth defects, such as microcephaly, which is when a baby is born with an underdeveloped brain and skull. Further research is needed to learn more about how Zika infection in the womb affects infants' eyes, Dr. Sonja Rasmussen, of the U.S. Centers for Disease Control and Prevention, and colleagues wrote in an accompanying journal editorial.